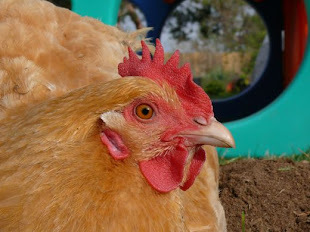 Chicken Blog: Great Pumpkins, It's Fun Around Here! Great Pumpkins, It's Fun Around Here! For starters, a suspicious package arrived last week, labeled: Exploding Kittens, in big and bold letters. Marvelous. "A card game for people who are into kittens and explosions and laser beams and sometimes goats... oh, yes, please! I mean come on, it's like they made it for us. Magic The Gathering, Exploding Kittens, and sewing... lots of sewing, for William's part. He has this uncanny ability and willingness to try, and try, and try at some very difficult patterns, and his diligence is paying off. Just a little peek, of something I am sure he would be loathe to share, but I admire his dedication, and determination. I have more experience, in terms of time and practice, but his skills, his daring has excelled far beyond what I dare to try. And between card games, and tailoring, we are visited by fellow makers who want to have custom masks for Halloween. Don't panic, James! We have some supplies and ideas on hand for making Halloween fun. James, knows. He's a goof. When preparing to make custom masks, my advise is this: Chop wood, first. Then visit your manliest thoughts. Ready? Begin. With plastic covering his hair, and vaseline protecting his skin, Alex got James plastered. William documented the Art Spa Session. These are bandage strips, already loaded with plaster. Wet, apply, and let dry. At the Bird House Art & Spa we provide a full menu of random and marvelous experiences. Pulling the dried plaster bandages off of the plaster model they made. Custom mask making can get fancy. As Celine prepared to paint her face mask, Maria scrounged through my supplies and pulled out this ready made model. A new favorite shade... soft, grey greens. Then she added gold swirls and vines. There is so much to this image that I love. I'm just sitting here, thinking of Max being a senior, and all of the hard work he's applied to school, and how far he's come with finding his own interests, and sharing his interests with new friends, and Alex growing as an artist, and an engineer, and working hard to respect both of those interests, and I see our robot, and our bitey rat, and of course our porch... oh, how we love this porch! We have space, and light, and shelter, and supplies, and friends... and it's such a blast to enjoy all of this. Celine and James, putting their best faces forward, as usual. Maria found the dry erase markers, which for some reason had disappeared. Samantha, a figure of Maria's imagination, and ever developing artistic skills. The heat waves come and go, but there's no holding back time. It's mid-October, and we are busy having fun, getting our pumpkins in a row, and ready for Halloween. So much goodness awaits us! Life looks like so much fun at your house and I can certainly see why you love your porch so much. It's a wonderful to place to gather and do and make. By the way, those masks are fabulous. That's quite a creative bunch you have.